So for a while now there’s been variations on the same keto pancake recipe floating around on the internet. I think the first place I saw some version of the “cream cheese and egg” pancake was on Melissa Sevigny’s lovely recipe blog, I Breathe I’m Hungry. And there’s a reason the recipe has so many fans: it’s simple, it’s quick, and it’s tasty. But…it isn’t quite pancakes. It’s pancake-like, certainly. But for me, they always came out flat like crepes and tasting just a little too much like eggs to really be a replica of the fluffy breakfast pastry I remembered from my pre-keto days. Still, the recipe was a good starting point. With a little tweaking and a couple additions, I was able to come up with something just a little closer to the real thing. Oh, and the best part? It’s still a pretty simple recipe, and it’s still pretty quick to make. Just like the recipe you’re used to, you just throw everything in a blender, and two minutes later your batter is ready to go. Only now the result is a lot more pancake-like: golden brown, fluffy, and slightly sweet. The other best part? It’s a flexible recipe! Add a splash of melted butter to the batter, and you can make yourself some pretty kickass keto waffles too. Add in blueberries (I heat mine with a little bit of Swerve first) and you can have blueberry pancakes. And I’m not a fan of chocolate for breakfast, but I don’t see why you couldn’t toss in a few low carb chocolate chips if that’s your thing. Combine cream cheese, eggs, vanilla, sugar substitute, maple extract, and cinnamon with a blender or mixer. Add melted butter to waffle batter if desired. Add baking powder and coconut flour, blending again until well combined. NOTE: The matter may thicken if left to sit for more than a few minutes. If this happens, just add a splash of almond milk, cream, or half and half to thin it again. Using an electric griddle set to 300F or a greased pan over medium heat, pour batter to form circles between 4 and 6 inches in diameter. Flip pancakes when the edges begin to harden and the surface begins to bubble. Cook on the other side 2-3 minutes, or until golden brown. Add batter to preheated waffle iron. Cook for 5-7 minutes, or until golden brown. Serve with butter, sugar free syrup, and/or fruit/jam. Can I use almond flour instead of coconut flour? Almond flour is not a direct substitute for coconut flour in any recipe, and the same is true for this low carb pancake recipe. Almond flour will not result in the same fluffiness or texture. Some commenters have reported that flax meal is a better substitute. Can I freeze/reheat them? Yes! I would recommend reheating frozen waffles in the toaster or oven and pancakes in the microwave. Can I use different flavoring/extracts? Absolutely! Lately, I’m a fan of making these with vanilla butternut extract. It makes them taste like diner pancakes. Can I make them without sweetener? The sweetener is mainly for taste. If you want a savory version (for a sandwich, etc.) feel free to leave it out. Can I make the batter ahead of time? I wouldn’t recommend it. The coconut flour will cause the batter to thicken too much, and the baking powder will lose much of its rising effect. Can I mix the batter by hand? Sure! It just takes a bit more time and effort, so I prefer to make it in a magic bullet style blender. If you like your waffles crispy, spray the iron with coconut oil or another cooking spray before each waffle. The extra almond milk/half&half is only needed if your batter is too thick, which can happen if you let it sit for too long or with certain brands of coconut flour that are a bit more absorbent than others. 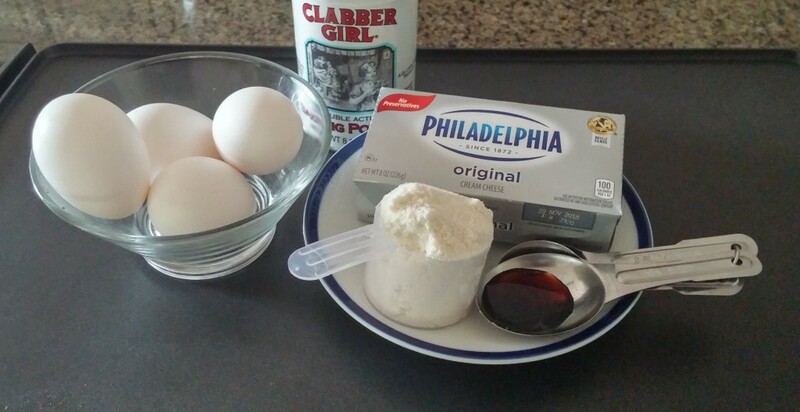 Make sure your cream cheese is fully softened in order to get a smooth batter. For a protein boost, swap out half of the coconut flour for WakeShake or another protein powder. You can get WakeShake for 10% off when you go here and use the code TKW10. What Is The Best MCT Oil for Keto? Must have done something wrong. Mine came out very dry. I’m sorry to hear that! Maybe try cutting back on the coconut flour a little. Mine came out perfect! Omg! These are better than “regular” pancakes ! Thanks for the recipes. These are absolutely delicious! Best keto pancakes out there, very satisfying…thank you. My kids ate them too. They usually hate EVERYTHING we make like this. But they loved these. This is something we will be making again. Thanks for the recipe. What kind of syrup do you use? These are so awesome, that I’m going to try more recipes. Thanks for helping us keto people. I’m also a vegetarian, that will eat fish and seafood from time to time. Surely the information given on nutritional value is off. It says a serving is 200 kcal…??? Doesnt a kcal equal 1000 calories? Please respond back. Okay, i’m still confused. Why use kcal instead of calories that we are used to reading? How many approximate American typical calories is in a serving? They are the same thing. These are amazing!!! I have made them 3 times and they are incredibly fluffy!! I’ve only tried them sweet. I think I’m going to try a savory version next! I’ve made the waffles twice, and the second time I replaced half the coconut flour with flax meal. It completely fixed the dryness problem and still kept a waffle-like texture. Savory versions are a nice substitute for sandwich bread! Nutritional content? And these were absolutely phenomenal by the way. 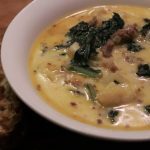 How can I find more of your recipes? The recipe is 4 servings, so just divide your total number of pancakes by 4. The exact number will depend on how large you make the pancakes. I followed the suggestion for substituting half flax for coconut flour and, because I didn’t have almond milk on hand used heavy cream. The waffles came out really great. I do anyways love that vanilla smell in cooking. I’m freezing a few to see how they fare. I will calculate macros after I finish my eggs and waffles. Wish me luck! fat 16g, net carbs 3 g, protein 10 g for one waffle. totally worth it, Yummy even without the sugar substitute. Great suggestion about subbing half the coconut flour for flax meal. It worked great and these are definitely my favorite low carb pancakes. My only complaint is that they get nice and fluffy while they’re cooking but, as soon as I take them off the griddle, they deflate so they’re really flat. I too substitute a bit of flax seed meal for the coconut flour, for no other reason than I love flax meal. They are so, so good, and the only thing I need to do is get them a bit crisper, and I saw someone mentioned adding coconut oil to the waffle maker. No matter what, I love them, so thank you so much for a wonderful recipe! Did you add almond milk to the batter a tablespoon at a time? Mine were awesome! OMGosh! These are amazing! I can finally have my favorite breakfast again!. My two kiddos liked them, too! I’m going to make pigs in the blanket next time. I may have missed it, but is there a carb count for these babies? I just found the post where a reader have an approx carb count! Thank you! Awesome! Made as is but made a mistake and used heavy whipping cream thinking it was 1/2 and 1/2 but they were still awesome and perfect texture. Heavy cream works fine to thin the batter too, it’s just a bit more calorie dense than half and half. I weighed the flour instead of using measuring spoons and only 3 level tablespoons by volume was 4 by weight. 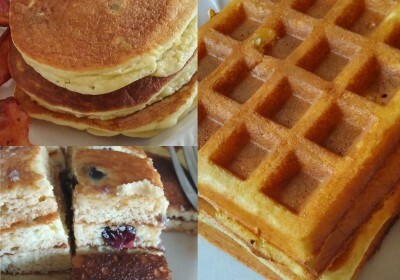 The waffles were simply delicious and only 9 total carbs (5 net) each with my ingredients! I got 3 Belgian waffles. Great result! I’ve been trialing Keto waffles for friends on the diet and this is the ONE! These were awesome! I made a double batch of waffles and they turned out great. I followed the instructions (but no cinnamon, maybe next time) best thing is I didn’t feel deprived or left out even my very picky 11 year old son loved them. He ate them dry lol. I plan on putting the leftovers I the toaster for quick breakfast/ snack. Thanks for sharing! Can I use heavy cream instead of the half-and-half? 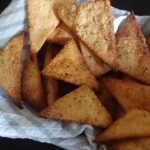 Hi – would love to try this – have you ever added protein powder to these with success? Thank you! I sometimes add a tablespoon or two of protein powder with no issues. If you want to add more than that, I would cut back on the coconut flour a little. Let me know how it turns out for you! Thanks for the recipe; my wife and I are going to try these today. But I’m new to keto, so I’m very conscious about the carb count, and I’ve scrolled this page about four times and haven’t found any nutritional information. Am I missing something? I’m used to always seeing nutritional information along with low-carb recipes. But seriously, thanks for the recipe! Thanks for sharing! I thought I included the nutrition info, but I guess it must have slipped my mind. It’s always good to calculate your own anyway, since calories and macros can vary from brand to brand. Thanks for posting the macros! (AND for sharing this recipe with us all!) I’m not new to keto, but was feeling really lazy at the prospect of plugging everything in to MFP, then spending the requisite 20 minutes changing all of the ‘matched’ ingredients to the correct ones…just to figure out what the specifics were; lol. Having had a lot of success with keto my better half decided to jump on board with it…he’s a huge ex-footballer…he needs twice of everything I do. 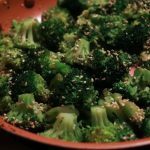 This recipe & the macros will save me a lot of time scrounging around trying to find things to feed the poor man! Thanks for the info you all! How’d you get 3 carbs per serving? 3 carbs times 8 servings is 24 carbs? Are you counting total carbs here? I ended up with .67 net carbs per serving assuming 9 servings. I didn’t add milk, so maybe that’s the difference. The only carbs in mine came from coconut flour – 3g net carbs per 2Tbsp = 6g net carbs total for the batch. Cream cheese has a minimal amount, so you could round up to .7 I guess. I just want to make sure my math is correct and I didn’t just eat a ton of carbs. If someone is posting the carb counts from the Myfitnesspal app or website, those are always in total carbs. It doesn’t calculate net carbs. I’m so excited to find Low Carb recipes for Pancakes & Waffles. Now I can eat my favorite breakfast foods without feeling guilty! Thank you so much for posting this. Would it be OK if I share this recipe on my Facebook page? I don’t mind if you share the recipe, although I would request that you include a link/credit to the source. Thanks! made these this morning and they are so good …n easy to make!!! Thank you! These were awesome! I’m not sure, as I’ve never really used a flax or chia egg. Please share your results if you try it! Just made these and it is soo delicious! Much better than cream cheese pancakes. Thank you! These were by far the BEST KETO pancakes we have ever made! My eldest daughter should be an executive food critic:). (I’m saying saying this in a positive way). We always joke that she will one day open a keto friendly restaurant chain and bakery. She LOVES to cook & bake so she’s always looking for ways to make KETO recipes taste better! She said mom this one NAILED IT!!! So hats off to you:). Thank you so much for sharing. I’m replying to a very old post do I’m not sure if you will read this or not..i hope so. I’m new to this whole keto thing so im hoping you and your daughter would be willing to share some recipes with me. I have a 12 and 13 year old who are very picky eaters. Pancake crumbs! Mine turned into crumbs whenever touched. They were soft throughout, not crispy. So I sprayed the waffle iron with Pam coconut oil and let the waffles cook 2 extra minutes, which was a minor improvement. Iwas able to get them out of the waffle iron this time, but they still fell apart on the plate. My husband lifted his plate and said, “What’s that horrible smell?” I sniffed and agreed there was a strange smell. He’s not keto though, so I left it up to him to eat them or not. Topped mine with butter, blueberries and Walden’s SF maple syrup, and they tasted scrumptious! So I scraped up the yummy crumbs and ate nearly 2 servings. Still, there’s no way I can call them “fluffy” and they’re more like a flapjack that was laid in a waffle iron. I did use the tablespoon of melted butter in the recipe. I see a recommendation above to use part flax meal and/or psyllium husk so will try that. It says those were “added,” but I wonder if they were substituted for part of the coconut flour or truly added in without extra fluid. I already put 2 splashes of almond milk and finally 1 splash of HWC to get mine thin enough to pour. Hey, do you think adding too much fluid would be a reason for my waffles to turn out soft and crumbly? Maybe too much fluid sort of steams them so much that the crust can’t get crisp. Very tasty. Super-sweet for my keto-adapted palate. The whole reason I wanted them was that I’m tired (bored) of everything I eat being salty or savory, so it was a delightful change for Sunday breakfast in spite of the pitfalls of a first-time effort. And even if it did retard hubby’s desire to eat keto. LOL. I’ll get him yet. Love these! I added a tablespoon of blueberries to each pancake. Yummy, yummy! Thank you! I cannot say enough good things about these waffles!! I just made them for the first time and I am whipping up a second double batch as we speak to eat throughout the week for breakfast. My boyfriend (who was skeptical of keto in general and keto waffles in particular) said they’re some of the best he’s ever had. Absolute winner!!! I didn’t have any vanilla extract on hand so I ended up using a mixture of 1 part almond/3 parts caramel extracts, and the flavors work really well together too. I will have to try that flavor combination, it sounds delicious! DID YOU USE ALL COCONUT FLOUR? Ok very tasty so this is a definite “go to” but my pancakes were flat not fluffy. ( Little thicker than a crepe) The recipe did not give the amount of almond milk or half and half as it said “as needed”. I used 1/2 a cup with the rest of the recipe as is. Just wondering what should I do to make them fluffier. 1/2 cup is certainly a lot. You should only need to add a tablespoon or two, and even that only if the batter is too thick to pour. Hopefully you get better results next time! I did not use any almond milk or half and half and mine came out perfect. I don’t use any liquid of any sort to thin and they worked fine and were very fluffy! Try leaving g it out completely. If you want more fluffiness, maybe try separating the eggs and beating the whites until stiff peaks form. Once everything else is added with the yolk mixture, delicately fold in the egg white mixture. Personally, I love the recipe as it is! OMG!!! You’ve changed my entire world! I made the waffles, and they were perfection!!!! Thank you! These were the best kept pancakes I’ve ever made. Thank you so much! I used 5 eggs and 6 oz of cream cheese because I didn’t want to leave 1 egg and 2 oz cream cheese just sitting in my refrigerator. They must have been good because my 17 y/o daughter even liked them. Best low carb/ keto waffle ever!.. I made a few changes due to not having enough cream cheese ( used 2 wedges of laughing cow) and instead of maple flavoring, I used almond extract , still turned out wonderful ! Thank you!! Excited to try these. If I make a bunch at once, will they keep for a few days? This is the best pancake recipe I have used, thank you for posting it. I should report that my first two times making this I swapped out coconut flour for almond flour. I did not make any changes to the amount, so I used 4tbsp of almond. I also used 10 drops of liquid stevia/vanilla instead of the vanilla and sweeter separate. I recently used the coconut flour and as anticipated it was much thicker. I like this recipe with the almond flour better for ease of knowing when to flip and that it makes more due to being runnier. Had I not used almond flour, I still would love the recipe. I’m glad I saw this, I had to use almond myself and I thought I did something WAAAAY wrong because they were runny (nothing short of extraordinary though) and I thought I somehow did them wrong. If you’re familiar with wheat alternative baking, coconut flour is always used in smaller amounts due to it’s absorption rate. If you wanted to use almond flour similarly to how the recipe was intended, you would have had to use more. I made this as a waffle form so the consistency with the coconut flour was nice for my needs. I’ll definitely think about using almond flour in the future for a runnier consistency for pancakes. I was looking to use almond flour as well. Thank you for your post! I was just wondering if almond flour would work, since I don’t have coconut on hand. Thanks for the post! I’m definitely trying these! Almond flour and coconut flour have different texture and absorbency, so they don’t substitute evenly for each other. I use all flax seed meal or flour …and they are perfect I replace the 4 tablespoons coconut flour with the 4 flax ..no prob here…mine were delicious ! Made the pancakes today, they were fluffy and delicious I also added pecans. YUM! These are so good!! Thank you for the recipe! Yummy! Can hardly wait to toast the leftovers later on. After all the wonderful reviews, I HAD to try these! I made them into waffles. I have a large, 4 square waffle iron. It made two pretty full waffles – so 8 squares. They were beauties! I used my bullet to mix the batter, omitted the cinnamon and maple extract, and baked the first batch as is. They were tender, *fragile*, but good. The second waffle, I sprinkled a generous amount of cooked bacon pieces on top of the batter and baked them until the steam stopped. They were FABULOUS! My husband and I thought we liked them so much better with the bacon because we feel like the recipe needs a bit of salt, so I will add that the next time I make them. And, I will DEFINITELY be making them again! Finally – a recipe that could “pass” for the full carb version! THANK YOU!!! Can you use anything else instead of cream cheese or leave it out? I don’t like it. I can’t really think of anything that would work as a substitute for the cream cheese. Maybe neufchatel? You really don’t taste the cream cheese in these at all. If you want to omit cream cheese just because you don’t like the taste of cream cheese, you need to try it and just tell yourself they are regular pancakes or waffles. coconut cream from a can of full-fat coconut milk often works in place of cream cheese….Try it out. Marscarpone worked great for me! Ricotta? I love using ricotta in pancakes, however it’s similar in taste to cream cheese…. Though I haven’t tried it in this recipe, yet, I have had luck swapping nut butters for cream cheese. I would try a plain one, like smooth almond butter, and add the finest bit of lemon juice. Turned out beautifully, I was always screwing up the regular cream cheese pancakes..the texture of these is perfect. I double the waffle recipe, use 1/2 cup for each waffle (and do adjust nutrition when tracking). Make 1/2 as regular waffles then add spices to make a savory batch (garlic powder, onion powder, basil – whatever you choose) and use those as “sandwich” bread. 1 waffle cut in half is plenty. You saved my keto life!!!!!!!! I make huge batches of waffles for my family and could no longer indulge because every keto recipe I tried before was awful. Top the waffles with kerrygold butter and sugarfree syrup and you CANNOT tell the difference. Thank you!! Can i freeze them? Would love to make a big batch for my kids and toast on crazy mornings. They are very ‘freezable’! I take them out of the freezer, have a cup of coffee, letting them thaw a bit, then I put them in the toaster! PERFECT! Thank you for this recipe. Woke up today totally bored with my spinach/cheese/avocado everyday omelet and REALLY wanted some pancakes. They turned out delicious. I did add a pinch of sea salt to the recipe and substituted 1 tbsp of coconut flour for 1 tbsp flax seed meal. Fluffy and delish! Outstanding recipe! I only had duck eggs on hand, which may have influenced the richness and fluffiness factor. This is now my go-to recipe! Good-bye pre-packaged “paleo mixes”! (By the way, these were made even more delicious with some chocolate keto whipped cream.) Messy kitchen, but worth it! Thanks for this! I am trying to go mostly dairy free (except for butter) and I have some almond milk ricotta in the fridge – so I’m going to attempt this recipe replacing the cream cheese with the ricotta. Will update. Wish me luck! These were great and so much better than cream cheese pancakes. I added a few blueberries and just 3 tablespoons of coconut flour and never had issues with it thickening. Thanks for the recipe! Hi I just made these pancakes. The taste was delicious but not fluffy at all. A little thicker then a crepe. I followed the recipe besides adding a little melted butter but that shouldn’t be the cause of not rising. The melted butter was only for the waffes. That and to much liquid could be the cause. These were well accepted by my non care carbers. They were delicious. Found them very tender and not crisp. This normal. I doubled the batch and got 5 full size waffles and 2 big pancakes. I’m not a fan of coconut flour. Has anyone tried substituting almond flour, or perhaps half almond and half phylisum husk or milled flaxseed. Or maybe someone can convince me that it doesn’t have a strong coconut flavor. Not sure why, but my waffles came out pretty flat. On a positive note, I really don’t care, LOL. I was making these to use as a bread substitute anyway. I had left out the extracts and only used half the sugar substitute. Just had a tuna sandwich (used 1 waffle, cut in half). YUMMY!!! I’m seeing lots of possibilities with these. I think I’ll make a savory version with Italian seasonings to use as an individual pizza base. So quick and easy compared to a lot of Keto recipes out there. I do plan on trying them again as pancakes, also. Can’t wait to try them! Thanks! Must say these are pretty darn good! Just made them this morning and will be making these again soon. I love the idea of a savory for sandwiches. I saved a couple to make breakfast sandwiches with! Thanks for the great recipe! Love these pancakes! Turned out amazing!! Thanks for sharing? Can I use blueberry cream cheese? Just made the pancakes. 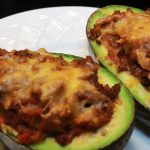 A great recipe and can’t believe they are low carb! I will definitely be making these again. Fabulous!!! I made waffles this morning and they tasted better than the real thing! ? I love these! I always make them as waffles. I needed to increase my fat percentage so I added 3 scoops of MCT powder to the mix. My waffle maker makes 3 of these per single batch. They still cook up beautifully with no other changes to the recipe. This with a Greek yogurt and my bullet proof coffee start my day off wonderfully! Thank you, I am so thankful I found your blog! thank you for your recipe for pancakes their the best so far and the only one I’ve cooked. again ☺I add a little. lemon flavor.now I can enjoy pancakes with my family. Just made these for breakfast today, and wow! They were absolutely fantastic. Much lighter than I thought they’d be too. Paired with butter and Walden Farms Sugar Free syrup, they tasted like regular diner pancakes. Just divide these numbers by the number of pancakes you make, I made 5 so they were only 3.05 carbs each. Really fantastic. Omg. I made these for breakfast this morning, and seriously, I could cry. I’ve been making the standard cream cheese/egg combo pancake recipe since I started keto a year and a half ago and figured that’s as good as it gets. Until I made these. I actually think these are BETTER than conventional pancakes! I used 3T coconut flour, but other than that stayed true to the recipe. They were fluffy. They were moist. They were tender. And they were yummy! Thanks for sharing! Been sitting on this recipe for a while and finally gave it a whirl today. These do NOT disappoint! I followed the pancake recipe to a tee and these turned out great. They were very fluffy, and not at all eggy like some other recipes. Can’t wait to try waffles next time. Definitely my go to pancake recipe now. Today I lost another pound and made your amazing Keto pancakes ….life is good! To my Keto recipes tried and true! Thank you. Fabulous recipe! I really enjoyed it!! These are fabulous! I separated the eggs and beat the egg white separately with a bit of cream of tartar. I added the egg whites to the rest of the prepared batter last. They were so ridiculously light and fluffy. I only got three pancakes out of it though. I might have to add a little cream to the batter before the egg whites to thin it out a little more to stretch it further (or less coconut flour, maybe). Still, they were amazing with sliced strawberries and whipped cream. I made these for breakfast this week and added peanut butter, hemp seeds, and chocolate chips. They are delicious! Thank you for the recipe. This will be my go to KETO pancake recipe. Pancakes turned out awesome, so fluffy! However it was way too sweet for me, I think next time I will leave out the sugar substitute. Definitely fixed my sweet tooth though, thanks for the great recipe!! We have made these twice now and they are so awesome! I’ll use the recipe base w/o sweetener for sandwiches too. This is what “real” pancakes should be. Thanks so much for the recipe! Waoooooo! Super delicious. Used egg whites instead just because Im watching my cholesterol. Top it with 1 tbs of country crock butter and 1 tbs of sugar free syrup. Really exceptional. Made 4 of this babies. 1 was just enough to fill me up for breakfast. Thank you so much for this recipe. I made these as waffles according to the directions, except I added a pinch of salt, and they are fantastic! I whipped up a double batch so we could have leftovers to pop in the toaster during the week, and they couldn’t be easier. The kids loved them, husband loved them, and I (the only keto eater) loved them. I’ve made several keto friendly pancake and waffle recipes over the years, but this one is the best. It’s the only recipe I’ve tried that results in a traditional tasting waffle. They are a bit delicate and soft right off the iron, but I accidentally found that putting them on a baking sheet to keep warm in a 200F oven crisps them right up. This one’s a keeper for sure! I just finished making these pancakes for brunch this morning. OH. MY. GAWD! Oh yes, these are definitely going to be my pancake and waffle mix from now on! I got a bit carried away and forgot the vanilla extract and the sweetener. I am assuming these were to cover up the eggy taste? They cooked up lovely. However, I made a small batch of blueberry syrup to go over this and I could even imagine a dollop of whipped cream on top of that. IHop has nothing on this! Just for one serving, I used 1/2 cup of blueberries and 2 Tbsp of Torani Raspberry SF Syrup and had this simmering in a little pot while making up the pancakes. I even had 2 pieces of sausage with it. 14 net carbs total, including the sausage and blueberry syrup. Plenty left for dinner and below my net carbs for the day. Happy girl, I am. When/if I get a waffle iron, I would like to try these waffles with sparkling water (made with my sodastream) to get fluffier waffles. Is this necessary, or does this recipe make fluffy waffles as is? I love the flavor of these but mine came out kind of soft. They don’t have the crisp that typical waffles have. How can I change that aspect? I spray my waffle iron with a bit of coconut oil and they crisp up nicely. Maybe try that? A little coconut-y but I love coconut! These were amazing!! I think I’m going to try to tweak this with some cocoa powder for some chocolate waffles and see what happens. Made the waffles this morning. Undeniably the best keto waffle ever. Even my picky eater loved it. Will make the pancake version on Tues for pancake Tuesday… yeah!!! Put in bacon bits into the recipe for a great sweet and salty play. And add a fried egg on top with a runny yolk, you won’t need syrup. These weren’t bad…they were slightly bitter cos I put bi carb soda instead of baking powder but that’s obviously my problem not yours! They were a little runny though? Like they thickened a bit with the coconut flour but were difficult to flip – almost overdone, too brown on the bottom, but the top went everywhere when trying to flip. Good texture and otherwise very nice though. I never comment on recipes, but I just made these waffles and they were delicious! I don’t like the taste of coconut at all, so I replaced the majority of the coconut flour with almond flour and added more vanilla to hide the coconut flavor. It was perfect! I also halved the recipe because I’m cooking for one, but now I wish I had made an entire batch! This is now my #1 waffle recipe! I’m so excited! I absolutely love this recipe. I had the same issue with the “original” recipe being too egg-y and not thick enough to qualify as pancakes. This totally flipped my world. Even the non-ketoers in my house love them. How well does the batter store? I usually wake up early to cook breakfast for the family, but to make these I need about a 1/2 hour of prep time (I’m a slow getter-upper). Considering preparing the batter the night before and cooking in the a.m.. Anybody have any results they can share? I wouldn’t recommend it, because the coconut flour will probably cause the batter to thicken too much overnight. Also, the baking powder will lose its “fluff” abilities if left to sit overnight. You could prep all the liquid ingredients, and then add the dry ingredients in the morning and that should work. Loved them! Recommended by another Keto friend. Will use this recipe always now. I like mine with warned raspberries on top..nom, nom, nom…..
I’m new to this creative carb cutting… I go into all these recipes with a certain amount of skepticism. I was so pleasantly surprised and pleased that I had to comment. Even the man of the house enjoyed it which made me very happy. This was a great follow up to last night’s first fathead pizza lol. Many low carb recipes just don’t cut it. I am so happy to find your recipe & want to thank you. My husband has lost 60+lbs & I 40+. Every once in a while we crave pancakes or waffles. We are usually disappointed with recipes, but not today! You made us smile. THANK YOU. Made these this morning and they were awesome!! Thank you. Can you freeze the cream cheese pancakes or waffles? LOVE THIS RECIPE!!!! Thank you thank you for posting this! THE BEST keto pancake/waffle recipes hands down! I used half coconut flour and half flax seed flour. They came out perfect. Waffles, bacon, coffee….OH MY…. Can I use almond flour instead of the coconut flour??? This recipe is awesome! Best keto pancakes we’ve made so far! We made these today. I added a little more cream cheese to prevent some dryness. But can’t wait to make waffles! Thanks! Made these tonight and they tasted great! Nice texture and they hold together well I beat the eggs til frothy to give more air in the batter. Also added 1 tsp of psyllium powder . Love the cinnamon and maple extract. Topped with butter and just let it melt to good taste. Let the batter sit for 3-4 minutes for the coconut and psyllium to absorb the liquid. Great recipe. It’s a keeper. Thank you so much for this recipe! I have had numerous failed attempts at low carb recipes and ready to give up. I love pancakes and these are as good or better than traditional pancakes. 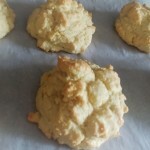 They are light, fluffy and taste great! I will definitely be making these again soon. Loved These! I’ve been craving something sweet and these were perfect! I put almond butter and sugar free strawberry jam on them. They were delicious. This will be my waffle/pancake recipe from now on. I added a little cocoa powder. These were amazing I needed something that resembled bread Thank you !!!! new to this would wheat flour be ok? Wheat flour isn’t low carb, so while you could use it, it wouldn’t result in keto-friendly pancakes! i can’t have dairy so I replaced the cream cheese with a non-dairy alternative and these came out awesome as waffles. I don’t know if the people having issues with dryness did it as a pancake, but adding the extra butter product definitely kept them moist. My favorite waffles are a cornmeal jalepeno cheddar waffle to use with chicken and waffles. I’m going to have to these with a little modification to see if I can make something with a cheesy kick! I’m thinking almond flour since it’s got a more rustic texture, then just adding some shredded cheddar and peppers. What size eggs are used? Thanks! Can I sub almond flour for the coconut flour? I’ve been craving waffles and these are perfect! Saturday morning breakfast success! Thank you! Thank you! My husband and I made this recipe. The pancakes are delicious! Not eggs at all! This recipe was great. I used Almond flour as it seems less gritty than the coconut flour. Totally made my day! Thank you SO much for these! I made the recipe exactly and they were fluffy and delish. I just had the leftovers from yesterday’s breakfast and they were just as good the next day. Bravo! Would almond flour work? Does it have fewer carbs than coconut flour? Almond flour has less than 1/2 the carbs of coconut, but has way more omega 6, the fat we generally eat too much of on the Standard American Diet, and can cause inflammation in large amounts. Coconut has more carbs and less fat, but much higher quality fat. Coconut also contains inulin which can be a gut irritant if you have lots of food sensitivities (like IBS, etc.) Depends on what you’re looking for. Definitely the best Keto pancake recipe out there. I used fine almond flour instead of coconut because it is what I had on hand. I omitted cinnamon and maple extract. I didn’t add any extra milk at all. These pancakes are amazing. Thank you for this recipe!! We just made these in a Belgian waffle maker they were thick and delicious we added chopped pecans. Will make these again. I used coconut oil in my pan and my pancakes turned out like fantastic flat doughnuts! Holy yum! I was craving waffles and was looking for a low carb recipe. These were so easy and delicious! My cream cheese was a little clumpy but that was user error. I love that they actually have good protein and fats. Great recipe! I recently purchased a mini waffle maker and make waffles often with a side of crispy bacon and a few berries. I don’t use syrup, instead I blend a little lime juice and a few berries, and drizzle sauce over them. Yummy! I use even amounts of coconut flour, almond flour, and flaxseed meal. Followed directions for the rest and used the almond milk to thin. Came out perfect! Topped it with Walden Farms cal free, sugar free pancake syrup, yummm! This will be my go to pancake recipe. Thanks! I made waffles for the first time in my 74 years of life this week. Always used frozen before diet. These are Awesome! They were the best flavored ever. They were like McDonald’s McGriddles only better. Mine were moist and almost melt in your mouth. I made me a bacon and egg McGriddle and if I hadn’t been full I would had more. Think I’ll go make some for dinner. Thanks for this recipe. Will be on my weekly to make list. I made these pancakes this morning, and not only am I BLOWN away by the texture and flavor, but my husband and toddlers absolutely devoured them. That’s always a major bonus!! Thanks for this stellar recipe! I’m looking forward to trying the waffles as well!! Great recipe!! I made a double batch and my husband and two kids ate them all! My daughter is a type 1 diabetic and has been requesting pancakes for weeks. This really hit the spot and did not spike her blood sugar. Thank you! My youngest daughter made these tonight for dinner. Our family LOVED THEM!!! Thank you so much for sharing this awesome recipie with us. So glad you liked them! Very good recipe! I split the recipe in half and it still came out very good. This will be my new go to recipe for pancakes. Thank you! Pancakes came out really good, but I thought they were a bit grainy. I’m a terrible cook and never used coconut flour before. I followed the directions completely, but used half the sugar substitute. Should they be a Bit grainy or I did something wrong? What brand of coconut flour did you use? Some are less finely ground, which is what that sounds like. Being on keto diet i know others can relate.I cried small tears of joy after tasting these pancakes. They made my food soul very happy! Now I don’t have pancake envy and I will take out the sweeteners and extract and make it savory for my sandwiches. God bless you for this recipe and I will be trying your other recipes!! Thank you again and again!! Hi there, I’m so excited to try this recipe! Any suggestions for substituting coconut flour for almond flour? I’m not sure what the conversion is, and know I need to also change the amount of liquid/egg. I’ve never tried this exact recipe with almond flour. You would definitely need to use more flour, maybe even twice as much. You might even need to leave out an egg, but I imagine they will be less fluffy as a result. Just made these. They are great. A good heavy and heart waffle. I like that, very filling. I like that you can vary them buy adding fruit and other flavors. I increased the cinnamon this time. My next batch I might add cocoa or fruit. Delicious and perfect! Thank you. Made the waffles, so added the butter as recommended, but did not add the other optional items in your recipe; however, added 2 TB of almond milk. Great recipe! I use Pamela brand nut flour blend in mine…( 3/4cup works as a good conversion)…. and they were stellar. Thank you for sharing. THANK YOU for sharing such a wonderful recipe!! Followed directions exactly and mixed using magic bullet. Tried these today and have to say that they are by far the closest thing to “real” pancakes – and I have tried many other recipes and always disappointed ! This one will be a keeper in my low carb binder of tried and true recipes ! These are awesome! The whole family loved them and did not realize they were not made with the “normal” ingredients. These were amazing! I used the 2 t. good vanilla extract and a little Torani sugar free vanilla syrup for sweetness instead of the tablespoon of sweetner, and a quick swig of half and half to thin put the batter at the end and they were perfect. My 2 1/2 year old loved them. These would be excellent minus the sweetner and used for sandwiches as others have mentioned, or with more almond milk/half and half/cream as a thinner crepe batter. I’m about a month in to a low carb lifestyle and I’m so happy to be able to eat pancakes again- thanks soooo much for the recipe! Love love love these! Thank you for the most easiest, best tasting, amazing pancakes and waffles! Only recipe I would ever use! LOVED THESE!!! Mixes better in a blender than a mixer, though. These are awesome!! I just made these and they turned out fantastic! Made the recipe as written…without the maple syrup. Love them!! Thanks ? Tried this recipe as pancakes. Gathered all ingredients except for the coconut flour…realized that I didn’t have any…substituted it with coconut powder and used that. Didn’t get as fluffy as your pictures. Will try to add more next time for a more firm consistency. But it definitely satisfied my pancake cravings. My son loved it. Thank you so much for sharing your recipe. So many of the Keto Friendly recipes are eggy. This one wasn’t. I bought a waffle iron today just to make this recipe. It did not disappoint. I made the 1st two waffles following recipe but omitted sweetener and vanilla. Perfection. I made the 2nd two and added crumbled bacon. Perfection again. The last single one I added a dash of heavy cream back into mix, 1/8 cup shredded cheddar and a couple shakes of garlic salt. I felt like I cheated!! Thank you so much for the recipe and for publishing all the comments. No need to find another pancake waffle recipe. This one rocks! Thank you so much for this recipe… amazing!!!! These are amazing!! I made the waffles and I used my electric mixer. I ended up slowly mixing in about 6-8oz of heavy whipping cream so the batter was light and fluffy! I halved the recipe, subbed almond flour for coconut, and forgot to use almond milk. They came out very thin, like crepes, but still tasted delicious! I have made these pancakes many times. I have made them plain, added sf chocolate chips, lemon with blueberries, dark chocolate with sf chocolate chips. I do ad a scoop of vanilla protein powder as well. Even more cool I make mini muffins with this recipe just add a little more flour or one less egg as needed for consistency. Today I made orange muffins with fresh strawberries, carmel nut and carmel nut with sf chocolate chips. These were so very yummy made enough for another meal. I had them for dinner tonight I made the waffles I will be making these again ??????? I found this recipe by googling ‘best Keto pancakes’. I am here to say that Google got it right! My husband and I both have health issues that benefit from the Keto lifestyle, and my grandmother suffers from Alzheimer’s so Keto is great for her as well… but we all miss certain things and I have dedicated myself to finding the Keto alternative for our fave foods. One of mine and Grandma’s guilty pleasures was always the pancake breakfast… so I was excited to try this recipe out. I first fixed it for breakfast… I subbed one TB of flaxseed meal for the coconut flour and made the mistake of dumping everything into my blender cup before reading it was wet first, blend, and THEN dry… oops. Then I cooked them on nonstick pan. They were mostly ok, but they had a slight burnt taste and the texture wasn’t quite right. We still ate them and the consensus was that we could live with them. Tonite Grandma was craving something sweet so I decided to try again. This time I made sure to soften the cream cheese, blend my wet ingredients first, only used the coconut flour, and used liquid monk fruit for the sweetener. The batter came out much much smoother. Then I used a cast iron skillet and about a TB of coconut oil for each pancake. They puffed right up, crisped nicely at the edges, and browned beautifully. I did have to add about a TB of water halfway to thin my batter out as I was cooking each pancake one at a time. They were perfect!!! My husband said I nailed it and that they tasted just like a ‘regular’ pancake. 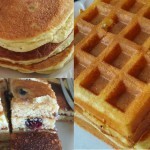 I do need to work on my portion size as I only get 3 servings or 6 pancakes per recipe… but I totally love it! 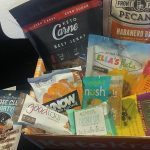 Thank you so much for taking the time to share with us your passion for food and helping us on our Keto journey! May God bless you and yours. Substituted the coconut flour for almond flour and it worked great! 4 tablespoons of coconut flour = 1 cup almond flour, batter was thick but I poured it right away into the waffle maker. I just melted! These were awesome! Even my non keto, frosted flakes loving daughter liked them. These were amazing! I used honey for syrup and threw in a few blueberries while cooking. Very fulfilling and fluffy. This is the first breakfast I’ve had on keto that I actually enjoyed! I added a packet of stevia in the raw to the batter and it was perfect! This is my 9th day on keto and after today I’m actually looking forward to breakfast! Thank you so much for sharing this recipe! ? Holy cow, these taste amazing! Thanks for the recipe! Made waffles today using this recipe and we were blown away! I can see all kinds of ways to use this batter. We’re going to try it in an impossible zucchini pie! THE BEST PANCAKES EVER!!!!! I used 2 tbsp. Flax seed and 2 tbsp. Coconut flour like one of the comments suggested and I never need to look for another pancake recipe again! I’ve passed it along to everyone I know! They are light, fluffy and incredibly flavorful. Thank you for posting this recipe! I left a comment a few days ago. Did not receive an answer to why the pancakes were so bitter, plus it’s no longer posted??? I don’t see a previous question or comment from you in the system, so it looks like maybe there was an error when you submitted it. If you ask again, I would be happy to try and answer. Thank you! The pancakes were so bitter I ended up throwing out a double batch! I halved the sweetener. Don’t know what went wrong. I replied to your reply but it never showed up. The double batch of pancakes I made were soooo bitter I had to throw them out. Any idea why? There isn’t anything in the ingredients that should cause bitterness. Did you perhaps use baking soda instead of baking powder? Wonderful and fluffy! Thank you for this! I just tried this recipe and love it. They hold together so well that I am going to make them savoury and use them for breakfast tacos. Thank u for sharing! 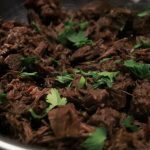 Loved this recipe so much I shared the recipe with my keto friends!! I did premixed the batter and used the next day. Wonderful fluffy goodness. This will be my go to fake carb fix! I added pumpkin spice and omitted the maple flavoring. Omg! These are awesome 🙂 Will make these often. Interesting that i use a similar recipe, and got to it by experimentation, looking for that recipe that tastes like a real waffle. My flavorings are squirt of liquid sweetener and maple extract, and a dash of vanilla powder. Can i use coconut milk instead? I’ve been looking for a pancake recipe since I’m craving them but i only have coconut milk. The milk is only to thin the batter if it turns out too thick. You may not need any at all, depending on how “absorbent” your coconut flour is. In any case, coconut milk will work fine although it may give them more of a coconut flavor. Just tried these Keto pancakes this morning. You have a winner here! They were so fluffy and flavorful. I didn’t have maple extract, so I substituted 1/2 tsp of sugar free maple syrup. The batter never got dry and I live over 5000 ft in elevation. I froze what zi didn’t eat. Thanks so much! We’ve been eating low carb for six months and I thought I’d never be able to make pancakes again! Thank you for this excellent recipe. I made these and they were bitter. Did imaybe use to much baking powder ??? I just made these (didn’t have to add almond milk). I topped them with Adams peanut butter and sugar free syrup. I almost died and went to heaven! They tasted SO SO GOOD after eating meat, veggies and cheese for a month. Thank you for sharing! Sorry to hear that! I actually have never had these stick to my waffle iron, even when I forget to spray it. I wonder if it has something to do with different materials or heat settings. Hi, can i use coconut milk? If you need a bit of liquid to thin your batter, coconut milk should work fine. I made 1/2 recipe and 2 scrambled eggs with chive bacon seasoning and 2 strips bacon for me and hubby and was perfect. I added orange extract instead of maple and added 1/2 T of oil to the batter, and a teensy dash of ground nutmeg. Came out browned, rose perfectly and tasted perfect. I used Truvia granular sweetner (which does have a little sugar). Pancakes were sweet enough without any extra syrup, but I did sneek a teensy bit of fig jam. Make sure the date on your baking powder is current, and throw out old baking powder. Orange extract sounds like a good flavor combo! These turned out beautifully! I did the half coconut flour/half flax meal. I did add the melted butter and maple flavoring and they were excellent! I will freeze these for my boys for quick breakfasts! Just FYI, if you are dairy free you can sub Kite Hill cream cheese which is almond based. The taste is great and I have used it while dairy free. Learned this from Maria Emmerich! OMG these really are the best keto pancakes. Thanks for sharing! Wow! 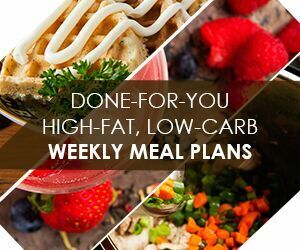 I have tried several low carb pancake recipes and they have all been missing something. This recipe is perfect as is. No changes necessary. Thank you so much! Just made these. So fantastic! Am very new to keto (one week in) and was not eating breakfast (just bulletproof coffee) and feeling sluggish and hungry until lunch. These waffles are amazing. My batter was also very runny, but fluffed up nicely in the maker. Added 1Tbsp ground flax seed to try and thicken it up, adding 1.5 total carbs to the entire recipe. Topped with 2Tbsp mashed warmed blackberries (no added sweetener to the recipe. Don’t think it needs it! ), total carb count of 7g for a delicious, satisfying, traditional breakfast. If I weren’t a vegetarian, i would’ve had some bacon with these bad boys. I think the size of the eggs is what’s causing the runniness. Mine are from a friend, and come in various sizes from tiny to gigantic depending on the hen. I’m thinking the original recipe probably used small eggs. Loved it. Best waffles ever. Thank you for sharing. Thank you so much for sharing this recipe with us! I’m new to the keto diet and have made a handful of things. One consistent thing I noticed about keto recipes is that they can turn out dense or dry if you’re not careful. I read several of the reviews and decided to play with your recipe to see if I could correct any of the mentioned mishaps. The changes I made were: I separated the eggs and whipped the eggs whites until they had soft peaks. I added 1/4 tsp of tartar sauce to help. You can whip the egg whites by hand, however it takes awhile and can be tiring. I suggest a mixer of some kind. I then took out 2/3 of the egg whites, leaving 1/3rd in the mixer bowl. I then added the ingredients as the recipe calls for. After these ingredients are mixed, I then gently folded in the remaining 2/3rd egg whites with a spatula until it was JUST mixed. Be careful not to over mix because you want to keep the egg whites nice and fluffy- it helps the pancakes be airy. I added HWC by Tbsp until the batter was the perfect pancake consistency, gently mixing it in. I then cooked like normal. The batter did thicken slightly toward the end as I was finishing up, but I added a smidge more HWC and it fixed it perfectly. These pancakes are PERFECTION. They were nice and airy (yes, they did deflate a bit once off the grill but not thin like crepes as others mentioned in their reviews). I’m not usually a fan of pancakes, regular or not, but these were DELICIOUS. I highly recommend them! And yes, I just used coconut flour. These pancakes are delicious! Best Keto pancakes I’ve tried! Just made these tonight and my family LOVED them. I’ve trie many low carb pancake recipes and this one is the absolute best!! I lightly spray my waffle iron with coconut/cooking oil and they crisp up nicely for me. Wow. Just WOW. These waffles came out perfectly. Non-Keto boyfriend loved them as well. I added the melted butter per the waffle instructions – I am thinking those folks who found them dry may have left that out? My waffle maker made 3 perfect full size waffles, which brings the net carb count to about 2.7 per waffle. Definitely worth the carbs, as one filled me up (the bf was full after 1 1/2 waffles). I am tossing the leftover half in a ziplock and into the freezer for a keto “Eggo” that I can toast on a busy morning. SO GOOD – thank you, Ketogirl, for posting this recipe! This comment put such a huge smile on my face! Glad you and the bf enjoyed! These are the best tasting. Pancakes are go to when I don’t know what I want to eat. I LOVE this recipe! Sure! I’ve done them by hand when away from home. They aren’t quite as fluffy (the blending incorporates extra air), but still delicious! Just make sure your cream cheese is completely softened so you can get a smooth batter. Thank you! I have a blender and mixer, but in an effort to be quiet as not to wake others when making the batter would be ideal! I used almond flour instead of coconut flour. They came out perfect! Will definitely use again for keto diet! came out great! it is now added to my keto favs. I never comment on anything, but I must say the pancakes were great. I have been doing carb free for the last month but continue to crave carb heavy dinners. Anyway with a few tweaks, this recipe could go to the next level if you whipped the egg whites. Anyway, definately worth trying. Best recipe! These came out so light and fluffy with a hand mixer. Loved it with sugar free syrup. I’m going to try it without the sweetener and vanilla for sandwich bread. Maybe add some herbs to make it savory! When I just couldn’t take another egg for breakfast, I broke down and spent a couple of minutes making these. They came out perfect and I still can’t belive I can eat them on Keto! YUMMY!! I wouldn’t change a thing with the recipe. I made these reluctantly, because I didn’t want to waste my cream cheese lol. This is the second time I’ve used my coconut flour (Walmart purchase) the first time was for tamales and I just threw them in the trash. I will attempt a different recipe for those. The coconut flavor was way too over-powering! About the waffles, the batter was on the thin side, so I was afraid it would make flimsy waffles, but I must say the first batch (2 waffles) came out perfectly….I cooked them 7 minutes. There was only enough batter to make 2 much smaller waffles (I must poor heavy, I like my waffles thick) and they turned out fine. Since my first 2 waffles were thick they must be considered at least 2 servings each waffle, so I ate 4 servings, I’m gonna have to watch that lol. The flavor was different than regular boxed Pancake/Waffle mix, but delicious non the less! I was very happily surprised because I haven’t had my waffle maker very long and didn’t want to have to give it away! The consistency of the waffle was as usual as well. I did use approx. 1Tbl of liquid Stevia and it worked fine. I am noticing a very slight hint of stevia after-taste, but I’m sure a drink of milk or coffee would fix that. If you don’t tell anyone, nobody will have a clue that these are keto-friendly waffles……they will notice that they didn’t bloat up as they probably would have when eating traditional waffles. Thanks for the recipe, I won’t be looking further, this is the one for me, I will just have to make about 4 recipes at a time to satisfy my crowd. Thumbs up!!! I tried the pancake version. I didn’t have pumpkin extract, but it still worked well without it. They were really good, and I tried to add some sprinkles of unsweetened bakers chocolate. That just made it much more bitter. Still, without the chocolate they would still be pretty bland. Otherwise, very good. I just made these. I’m so happy I didn’t throw out my waffle maker. They are really good. Much better then the last low carb recipe I tried. Same as other keto recipes. Tastes like eggs Bleh. These are the best! Even better than the Pancake House, Denny’s or IHOP! Just pay attention and don’t get distracted when measuring your baking powder! I tripled the recipe to freeze some and lost count of the baking powder teaspoons! Mixed them in my Nutribullet. Rx and so much pressure inside it was hard to take the lid off the mixer. Had to get the special tool that comes with it to remove the lid and when it came loose there was a huge escape of gas and the lid shot off sending pancake mix all over my cabinets. As I poured from the blender onto the griddle I set the blender container down while I watched the pancake and then flipped it over. Looked back at the blender and the pancake mix had ‘grown’ and was spilling Dow the sides of the container. I lured another pancake onto the griddle and again the mix grew over the sides! What a mess! But worth every bad word I muttered! The BEST Keto pancakes I have ever made! Made the pancakes this morning, watched my kids inhale them as fast as I could take them off the griddle, then went and deleted every low-carb pancake and waffle recipe that I had saved on my Pinterest boards. This is it. This is just *it*. I made the pancakes exactly as written, didn’t sub or omit anything, and they were *perfect*. My kids couldn’t even tell these were any different than my old, high-carb pancakes! Thank you so, so much. This was my 1st Keto recipe. Very easy, very good! Thank you. Just made these and without doubt it’s the BEST version of waffles I’ve tried. Definitely a favourite now. Your recipe is a staple in our kitchen. Even kids love it. We make pancakes every Sunday morning! Thanks so much!!! Mine came out perfect and fluffy!!! I was so missing pancakes and wasn’t a fan of the cream cheese ones. . I used my blender to mix.Thanks again! These are best described as simply delightful. Hands down the least *eggy* tasting keto pancakes to date. Probably the best texture using coconut flour I’ve come across. I don’t have keto syrup and they really don’t need it with a little extra swerve and the maple flavoring. I just did a pat of kerrygold on each (I ate 3) and feel totally full. Thank you! I didn’t have time to soften the cream cheese, so I used my hand blender and that worked great. OMG thank you so much for this receipe!! I I make these for breakfast but I also keep a batch in my freezer. I use these as hot dog roll, top them with cream chipped beef, and bread for sandwiches! In short this is my go to keto bread receipe because it is the closet thing I have came EVER to regular bread! I swap 2 tablespoons of flax meal for the coconut flour and it is great! WELL DONE! Only issue I had was that when it said I could use a blender I went ahead and used the Magic Bullet thinking that was the same thing. It is not. I tried to open it and it was stuck tight, finally got it to twist a little and then it exploded. All. Over. My. Kitchen. It was the baking power, so beware. It took almost 3 hours to clean up. What a nightmare lol. I will use a hand mixer next time. I use my bullet style blender for this actually, and I’ve never had this happen. Maybe it’s because I don’t seal it tightly? Or it could just be a different style/brand. In any case, a hand mixer definitely works too! You could even stir it by hand if you’re willing to put in the extra elbow grease, but they may not be as fluffy. Has anyone experimented with protein powder? If so, how did you adjust the other ingredients? Made these yesterday and they are yummy! Not too eggy as others I’ve made, they were satisfying. Thank you for sharing the recipe. Wow!! These were AMAZING! My whole family loved them and I didn’t tell them they were low carb. They hit the spot! Thank you a million for sharing this super easy recipe!! OMG even my picky 9 year old liked them. this is a great recipe thank you for sharing! dinner. They are fluffy and delicious. I got 12 pancakes. I used a scant 1/4 cup measure. Thanks for this wonderful recipe. These were beyond what I expected. I will always double the batch in the future. Thank you! Wow, these are absolutely the best low carb pancake recipe I have tried in 15 years of being low carb! Even DH, who loves everything high-carb, gobbled these up with compliments. I stuck to the recipe with a couple of very minor tweaks: I used 4.75 oz cream cheese and 4 extra large eggs, since that’s what I had. I mixed 3 tbsp coconut flour + 1 1/2 tbsp almond flour because I like the mix of almond & coconut. I added the baking powder, vanilla, and a little pinch of salt and left out the sweetener and other flavorings. I did not need extra liquid, possibly because my eggs and cream cheese were a tad more liquid than the recipe calls for, and because I replaced a little of the coconut flour with almond flour, which is less absorbent. It’s important to have the batter fairly loose and pour-able, as these puff up on the griddle quite a bit. I dotted my pancakes generously before flipping them with little frozen wild boreal blueberries from Trader Joe’s; and we ate them with Lakanto Maple flavored syrup and butter. I can see making blueberry sauce with the rest of the blueberries and putting whipped cream on top for company! 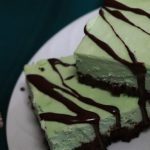 Thank you for this most delicious recipe, and I enjoyed reading all of the comments to get ideas for tweaks and squeaks! I made the pancakes and substituted banana extract for the maple and added chopped pecans. We enjoyed them, even though I had to cook the first side a little more than I would have liked to just to be able to get the spatula under them for flipping. Thank you for posting the recipe. That sounds like a yummy combo! Oh My Gooodneeeesssss! Thank you so much! These are the best Keto waffles I have ever made. Try a different recipe yesterday and had to stiffen egg whites and two bowls! It was too much work and they were thin and not as good! Your recipe I can eat EVERY day!! So light, fluffy and perfectly made! These came out tasting very eggy. Good texture but a difficult flavour to get past. I used my vitamix and made waffles, and I can’t wait to tinker with it and also try as pancakes. My waffle batter would have made awesome pancakes, I think. Waffle version– Their only flaw was the lack of a crispy outside. I think it’s because I added almond milk when thinning out the batter, rather than more cream or butter. I added just a teaspoon of psyllium husk powder but will definitely try more, and/or flaxmeal, protein powder, etc. I love all the comments and sharing of ideas, thanks for your lovely recipes! These are the bomb! ALL my family loves them as Belgian waffles! Next time I may try adding wild blueberries. Thanks so much! 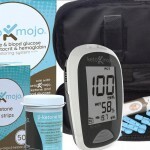 Keto-Mojo Review – Is Keto-Mojo Worth It? 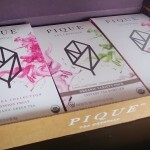 Pique Tea Review – Is Pique Tea Keto? 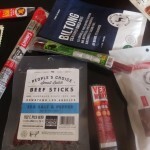 What Are the Best Keto Jerky Brands?